Recovery from divorce can be challenging both emotionally and financially. Particularly if you make less money than your spouse or have been out of the workforce for years, it can be difficult to adjust to being the sole wage earner. In some cases, alimony can provide the financial relief you need to get through this difficult time, helping you maintain your manner of living while you get back on your feet. Bridge the gap alimony: This is a short-term solution, meant to help you make the adjustment from being married to being single. Bridge the gap alimony is available for a period of two years. Rehabilitative alimony: This type of alimony can help you in becoming self-supporting, by giving the opportunity to get an education or career training. 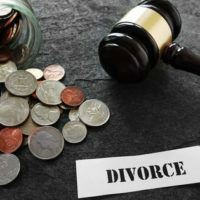 Durational alimony: This is designed to provide you with financial support for a period of time after your divorce, such as while you are raising small children or while you re-establish yourself in your career field. Permanent alimony: As the name implies, this type of alimony provides permanent, periodic payments which help you maintain the manner of living your enjoyed during the marriage. If you contributed to increasing the value of assets of a business your spouse owned, without drawing an income. During a divorce, it is important to get what you are entitled to in your divorce settlement. In some cases, this involves spousal support while you make the adjustment to being single and providing for yourself. To discuss whether alimony might be available in your situation, reach out and contact attorney Vanessa L. Prieto to request a consultation today.